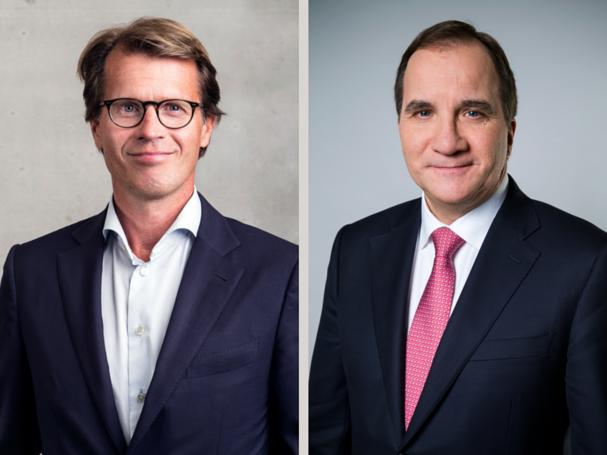 Sweden’s Prime Minister, Mr. Stefan Löfven, and a high level Swedish business delegation, including Mats Lundquist, CEO of Telenor Connexion, travels to India to promote increased collaboration. Sweden’s Prime Minister, Mr. Stefan Löfven, and a high level Swedish business delegation, including Mats Lundquist, CEO of Telenor Connexion, are invited as key partners for the Make in India Week opening in Mumbai on February 13. India, the world’s tenth largest economy and an emerging global player is undergoing major transformation. To drive the development, the Government of India has launched Make in India, a flagship program which aims to make India the next global manufacturing hub. The Swedish delegation is invited as key partner to the Make in India Week, a key industry event with high level participation from India and abroad. The event will be held in Mumbai and inaugurated on February 13 by India’s Prime Minister, Mr. Modi. The delegation program includes meetings with key decision makers in the private and public sector, a CEO Roundtable with Indian and Swedish top business leaders, and participation at Swedish Country Seminar.Telenor Connexion, a leading provider of Internet of Things (IoT)solutions, participates alongside customers Volvo and Scania, partner Ericsson, and the Swedish Post and Telecom Authority – PTS. “The Internet of Things (IoT) will be able to contribute to India’s economic and social development and to solve some of India’s key challenges in terms of infrastructure. Various government projects are expected to drive the use of IoT technologies in the country over the next five years”, says Mats Lundquist, CEO at Telenor Connexion. According to Business Sweden, the Swedish Trade & Invest Council and organizer of the trip, Sweden’s relations with India are very good, as Sweden has a strong brand in India and the potential of enhanced cooperation is considerable. Telenor sees Asia as an important market and operates locally to support regional customers and to enable Swedish companies to bring their digital solutions to the region. “The main themes of the Make in India Week will be smart manufacturing, industrial automation and smart cities – areas where Telenor’s solutions have an excellent fit with India’s needs”, Mats Lundquist continues. Telenor has a strong presence in Asia with over 180 of its 200 million subscribers in the region. India alone counts for 50 million of these. Both Telenor India and Telenor Connexion are wholly-owned subsidiaries of Telenor Group, one of the world’s largest telecom operators.